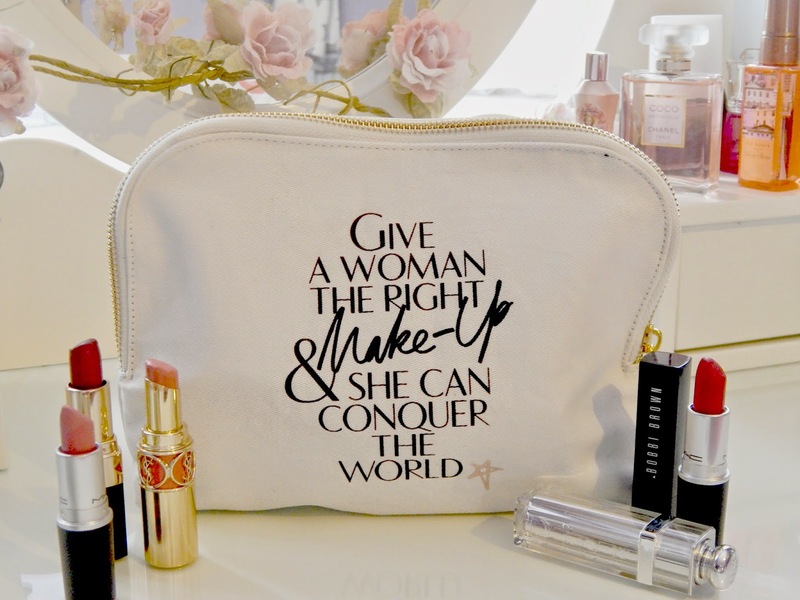 Today's post is a little different and random because it's centred around a makeup bag I'm obsessed with. I finally received this beauty at Christmas and it has ticked all the boxes of my makeup bag needs. 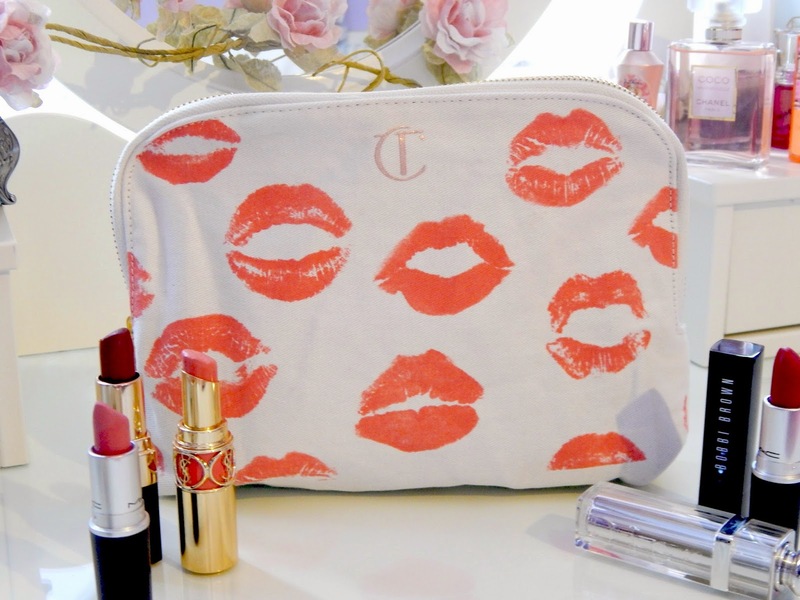 The lipstick print is gorgeous, and what makes it even more cooler is that the lips are based on actual iconic women in the industry, but it's a top secret about whose kisses they actually are! 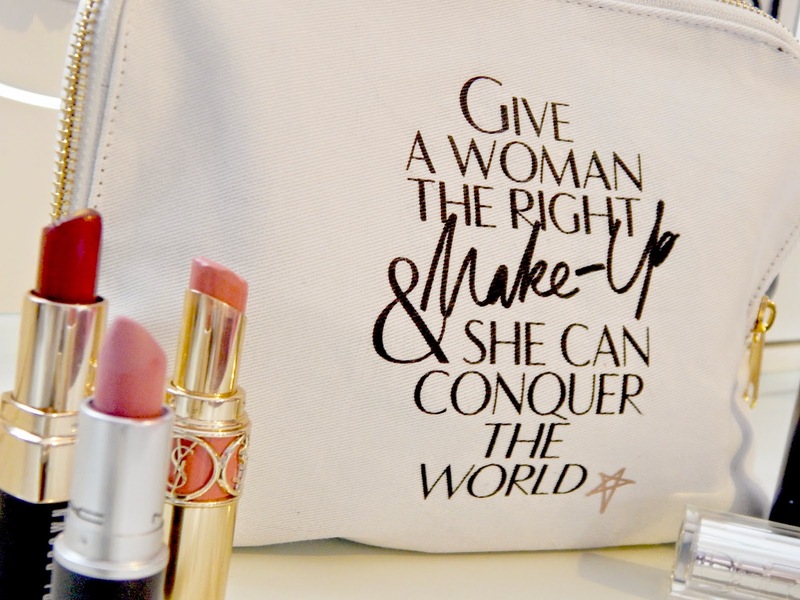 The quote 'Give A Woman The Right Make-Up & She Can Conquer The World' on the back is just perfect, and ties in so well with Charlotte Tilbury's idea behind her brand of giving women confidence, not only with their appearance but with their state of mind. Okay it's beautiful (I'm a sucker for gold detailing) but also practical. It's a good size, not too small and not to big and because it's made of canvas it is easy to plonk in your bag. The inside is actually black not white, which I'm happy about because I always some how manage to get makeup all in the inside of my bags! On another note, if you have any idea whose kisses these belong too then please let me know, I'm so curious! Bag is gorgeous especially because of the quote, it's something we all think but would never know how to express. This bag is so lovely! Also, do you know what shade that YSL lipstick is? I love your writing style and i LOVE the products here. I was just wondering, I know this is annoying but I have just started a blog and wondered if you could check it out and give me any advice! 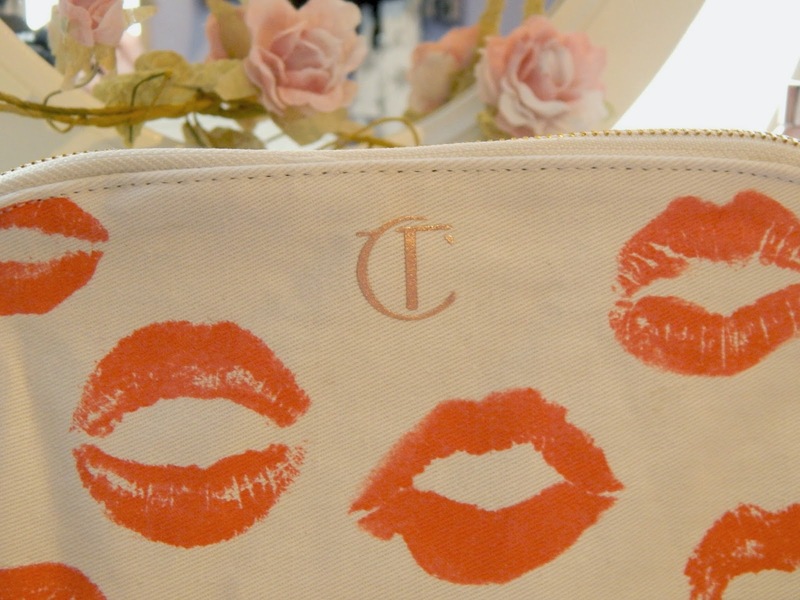 Love that bag, Charlotte Tilbury is a genius!